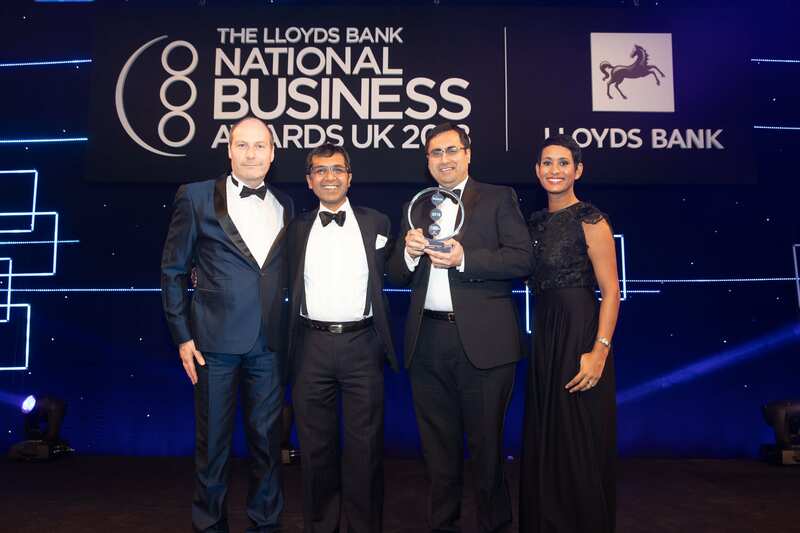 minicabit is thrilled to have won the ‘Digital Business of the Year’ award at the 2018 Lloyds Bank National Business Awards, named the ‘Oscars of great British business’ by former Prime Minister David Cameron. It was a fantastic night with a glittering ceremony at The Grosvenor House Hotel in London, attended by over 1,200 business leaders, entrepreneurs, politicians and journalists in celebration of the best of British ambition. The evening was presented by BBC Breakfast’s Naga Munchetty and guests received a keynote speech from national treasure, Joanna Lumley. This win is a testament to our mission to help customers and businesses easily book with cab firms UK wide. As Britain’s largest cab comparison website, we’re always making the most of technology to enable a great experience for our customers and Cab operator Partners, a lot of which you don’t see. Only 20% of the UK’s cab bookings are made online so the opportunity for our service to make a positive impact is compelling. This award follows a nice win at the Business Travel Awards earlier this year. As much as the minicabit team love winning awards, the best prize for us is one of our customers enjoying a great cab deal from one of our Cab Operators. Featured, In the media, News 2018, awards, business, lloyds, new year, win. permalink.